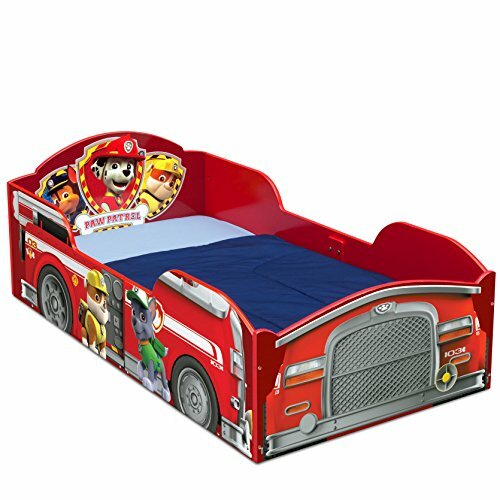 Bring the excitement of an action-packed rescue adventure to your child's room with the Nick Jr. PAW Patrol Wood Toddler Bed by Delta Children. Featuring colorful fire truck graphics and everyone's favorite canines, Marshall, Chase, Rubble and Zuma, it's a must-have bed for any PAW fan. Plus, it's designed with high sides that serve as guardrails-giving your child the independence they crave while keeping them safe at night.